By now you are likely familiar with Cloud Access Security Brokers (CASBs) and understand how they fit into your broader security and cloud strategy. What should organizations be looking for in a CASB? What capabilities are here or on the horizon that can provide improved data protection in the cloud? 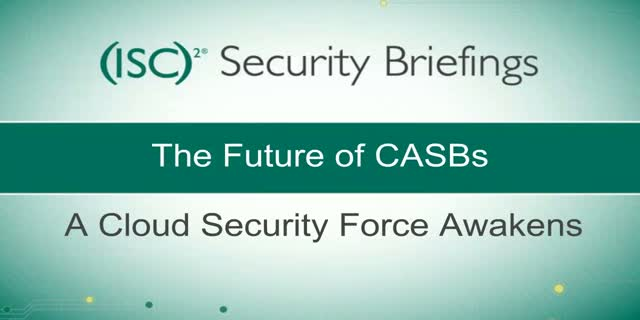 On December 1, 2016 at 1:00PM Eastern, Bitglass and (ISC)2 presents the final episode of the CASB series where we will examine where cloud security is headed, discussing agentless and agent-based solutions, the growing number of cloud apps in use and the importance of easy deployment. Learn why cross-app security will become increasingly valuable as organizations look to third-party solutions for deep visibility, behavior analytics, and more.